MaxiAids | Speech Adjust-A-Tone HGA-HTP- Boom Mic Compat. 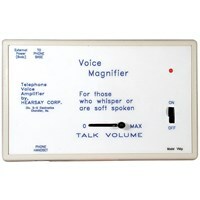 Enjoy clearer sound during telephone conversations or when listening to the TV, radio, tape recorder or a computer sound card. 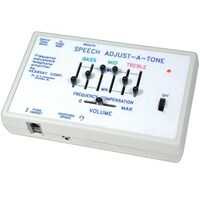 In addition to the abilities of the basic HGA-TP unit, the Speech Adjust-A-Tone HGA-HTP can also be used with a headset with a boom microphone while using the telephone.